From behind the headstones the laser beams from the machine guns settle on the target; coffin maker, Pat O’Donnell. He is unwillingly digging a grave in the old colony cemetery on Achill Island for these thugs, and they will not hesitate to use their fire power. 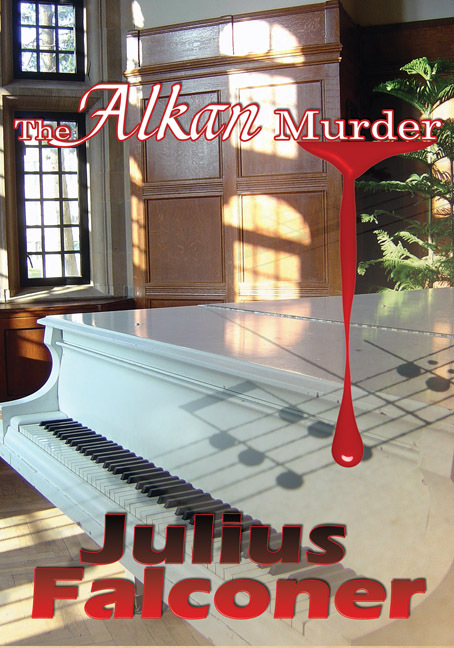 The Alkan Murder is available in eBook. A superbly written historical fiction based on an authentic account of the events leading up to the tragic death of Captain James Cook. ...Sail with Captain Cook in this rousing sea adventure novel! 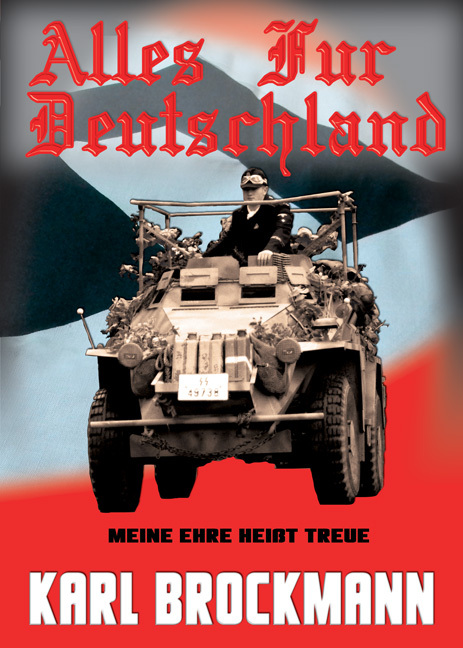 The book is a personal account of the tours. It is more than a mere travelogue; it is a personal observation and evaluation of the traumatic phases of the country and its history – seen in past, present and future. A Spine-tingling supernatural thriller with heartrending choices, fast pace suspense, startling twists and that thread of human goodness. Ben Blake, an eighteen year old British Intelligence agent brimming with gifts; intellectual genius, striking appearance, impeccable acting skills and a heightened sixth sense... gifts that all guarantee the success of his first undercover assignment. He effortlessly infiltrates university life in Cambridge and befriends Cathy, the daughter of billionaire Edward Carter, one of the most influential and politically secure titans of the time. Samantha Black, known as the elusive and exquisitely petite Sam. She rises from the ashes and battles her dark legacy. Her cryptic past and deep secrets become firmly intertwined with Ben’s investigations, shredding his carefully thought out plan to bits. Jake Snell, the young rugged Earl of Yorkley, the enigma, the rogue full of vices....but possessing abundant resourcefulness, creativity and determination. He is Ben’s only lifeline in this treacherous game. The Blake Curse is all about heartrending choices, fast pace suspense and that faith in the thread of human goodness. 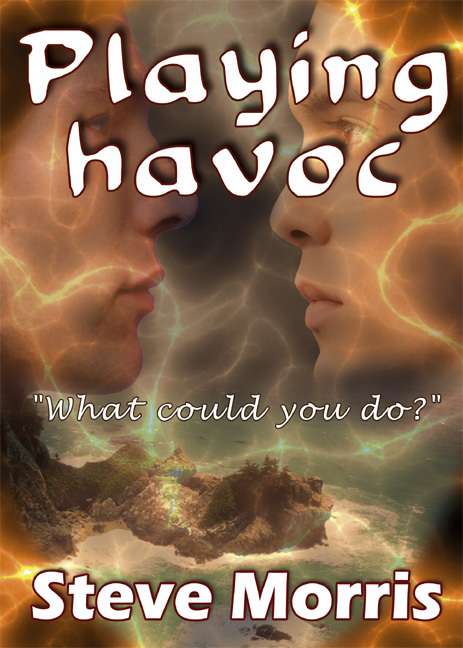 Steve Morris' newly released novel, Playing Havoc has been featured in the Reader's Shadow. Playing Havoc, partly based on fact, partly a black comedy, describes one small British island’s battle to maintain some normality in the chaos after a coronal mass ejection, seen through the eyes of one man who had only recently moved there with the very intention of getting some peace. "What would you usually get when you move into a crummy old house?" 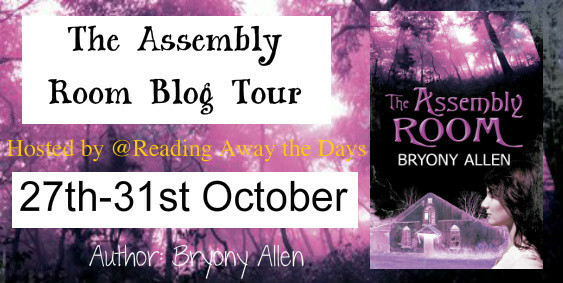 A review of 'The Assembly Room' by Angie, YA Novelties review site. 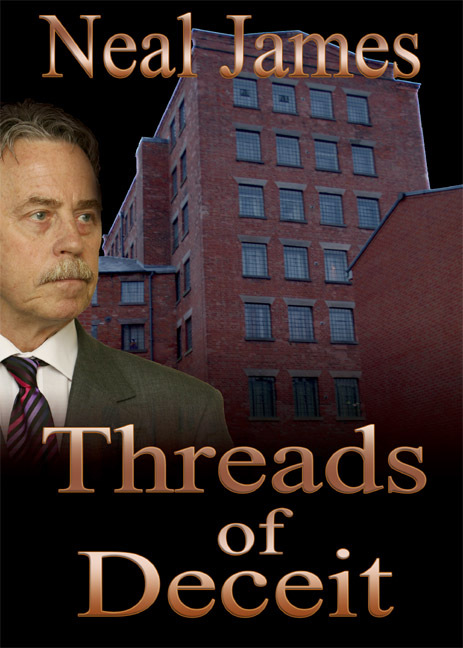 "The Assembly Room is an amazingly written story of the past and present intermingling. The depth of many of the characters that face terrible luck due to the past is realistic and perfectly portrayed. This book is definitely one of my favourite surprises of this year. I totally did not expect to enjoy The Assembly Room as much as I did. 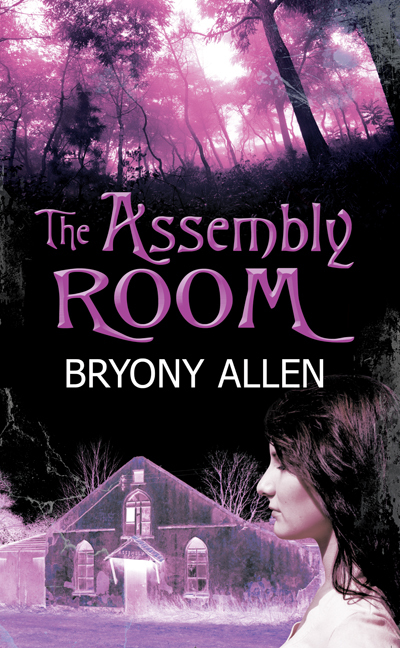 The Assembly Room is a must read for all horror readers because honestly, it's a story that packs a punch and tantalises one's reading palette..." Read more. From Coconuts to Condors: A book on unforgettable travel adventures during a trip to Brazil, Peru and Bolivia. Also featured, Temples and Tacos: An insightful and inspiring book on a trip to Mexico, Guatemala and Belize. An amazing travel experience! 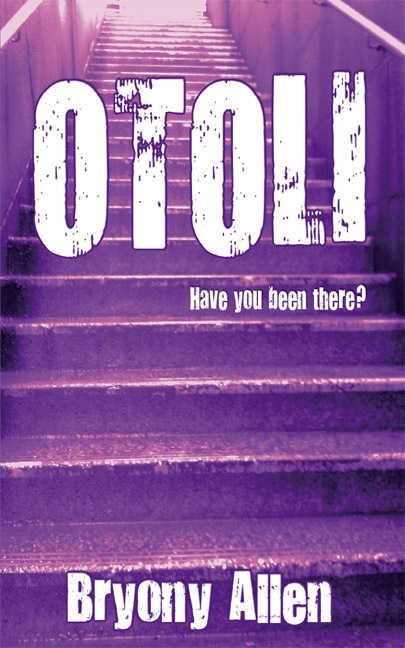 A review of 'OTOLI' by Theta Sigma, Resolution Corner blog. "You know when you identify with a character in a book and say "I'm like him/her" or "I know what he/she feels like". Well, with this book I can genuinely say that to a point. I initially found out about this book due to the author, Bryony Allen, becoming a friend through Goodreads and I became interested in the book's theme of bullying. The reason for this is because I am a bullying "survivor" (I prefer to use this term rather than "victim﻿") who was bullied physically, verbally and emotionally throughout primary and secondary school. 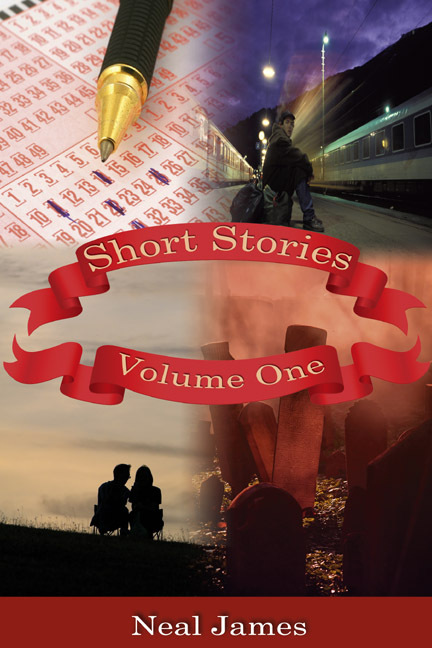 The book is primarily seen through the third person points of view of main characters Alice and Keiran. Both characters are marginalised through bullying - Alice due to the actions of a school clique called "The Populars" and Keiran from his peers and parents due to his parents' desire for him to receive an education which caters to his intelligence...."
Bryony Allen's latest YA novel in the spotlight as she's interviewed by Steven Russell, East Anglian Daily Times. "A haunted-looking building and the Suffolk witch trials of 1645 were more than enough to send writer Bryony Allen’s imagination into overdrive, as Steven Russell discover". "The body, or what remained of it, had been found by a dog walker out for an early morning stroll. He had parked his car close to Derbyshire’s Mapperley Reservoir in Shipley Country Park, and let his Jack Russell terrier out of the back of the vehicle, watching her disappear on one of her customary forages around Shipley Lane. 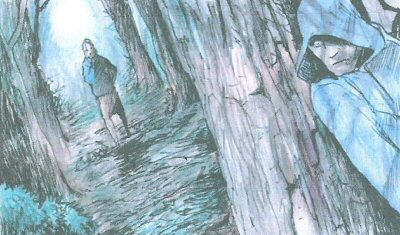 Having seen the dog stop abruptly, sniffing the air, ears erect, he was surprised when she vanished into the trees to the right, instead of following their customary course left, and up to the wooded area encompassing the remains of what had been the Miller-Mundy estate. “Where’s the body?” DS Fletcher crushed the stub of the cigarette beneath his shoe after the disapproving look from one of the park rangers..."
Q1. Can you tell us a little about yourself and your book 'The First Six Days? I am currently a research scientist working in the Biotech sector. I feel very fortunate to be working in science as I have the opportunity to investigate the workings of biology on a molecular level and gain an appreciation of the complexity of nature. My book reconciles the world of science and the biblical words of Genesis from the Torah (Old Testament). A famous proverb in Judaism is that one can study the Torah (Old Testament) and understand the world, or one can study the world and understand the Torah. One only has to scratch the surface of the two worlds of science and Genesis and the perceived initial contradictions dissolve. I realised both science and religion are not only compatible but on the same page, both enlightening the other. Q3. What was the most challenging thing about writing this book? I was initially concerned about entering the debate of science vs. religion, as this can be a heated arena with strong views from both sides of the fence. However I have attempted to be true to Genesis and to known scientific ideas so that my conclusions are based on knowledge and not just opinion. 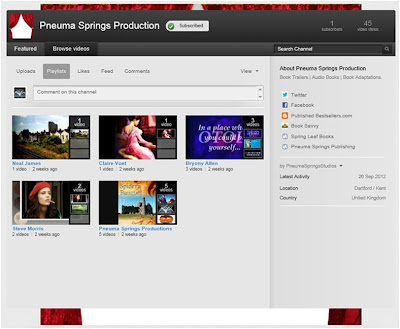 A book trailer for Fred Maddox's novels. 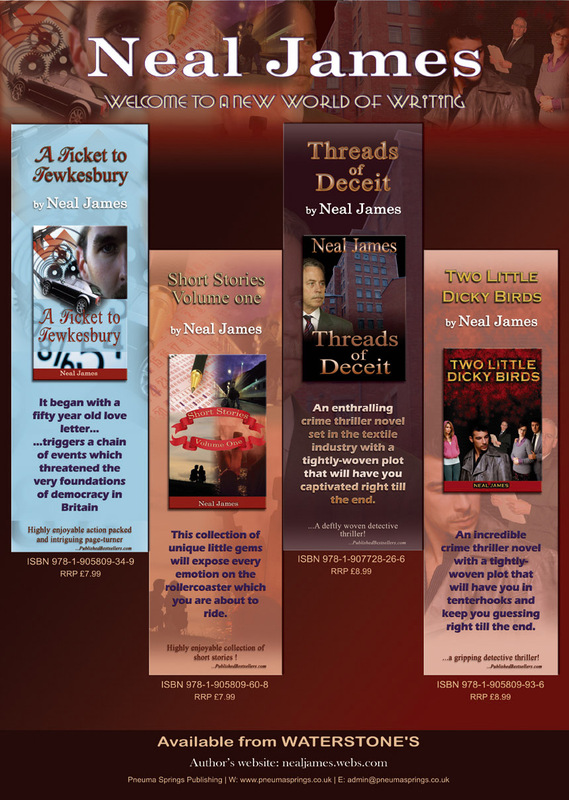 The novels are available in popular eBook formats such as ePub, PDF and Kindle (Mobi). 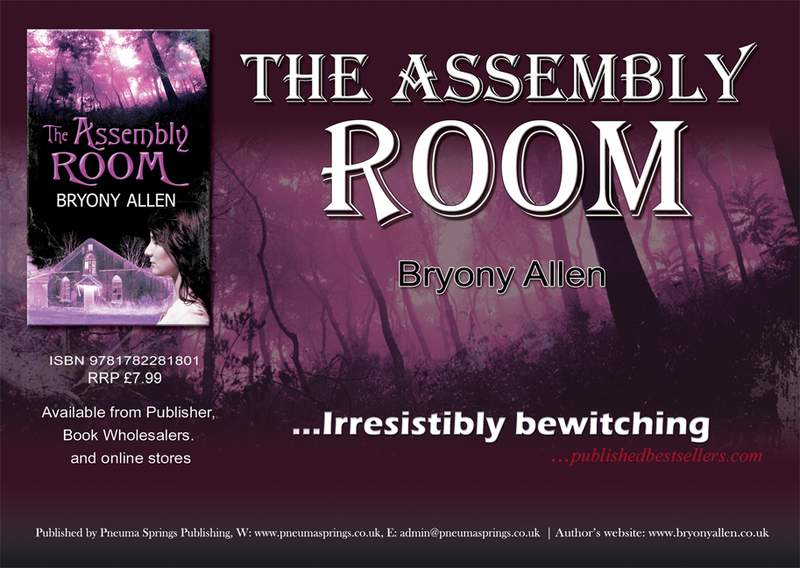 'The Assembly Room', Bryony Allen's latest YA novel, featured in the 'In touch with Stowmarket' magazine. Read the feature (Press Cutting) below. Bryony Allen is the author of two books: 'Mystery Deceit and a School Inspector' and 'OTOLI'. Bryony's latest book - 'The Assembly Room' is due to be released on 11 October 2012. A book trailer for 'The Kipper Patrol' by Louise Wilkinson. The Kipper Patrol serves as an insight into the history of this squadron, as well as the history of Thornaby Aerodrome itself. It uses as its basis, a series of interviews with veterans from the squadron and presents their memories of squadron life, along with many of their personal photographs. The book provides an insight into relationships between officers and other ranks within a military organisation and shows how these relationships changed over time..
Louise Wilkinson is the author of two books: 'The Kipper Patrol'. Love and truth conquer all in this stirring story of a family, torn and mended by events both preventable and beyond their control. Daisy is young and determined. Her relationship with her mother, Joanne is a difficult one. She has a deep need to understand her mother and feels the only way to do this is to find out what led to the breakdown of her parents’ marriage. 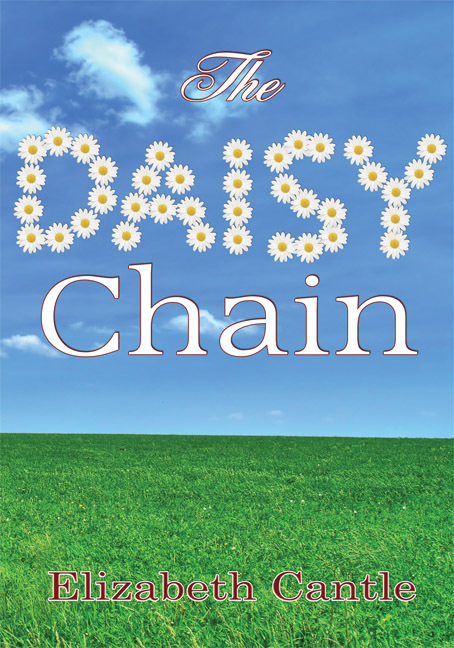 Daisy’s father, Richard has made mistakes in his marriage and almost paid the price no father wants to pay. The verses are as challenging as ever, and they range over the poet’s varied experience and encounters with a diversity of people. This assortment of stirring verses are primarily concerned with musings about the author’s Christian faith–a faith which is less concerned with abstract doctrine than with living out the Gospel in every day living. 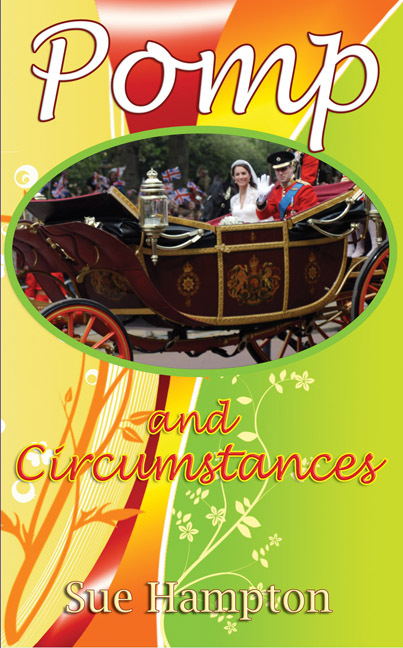 Topics range from family life, human nature, politics and a variety of poignant situations. The verses are as challenging as ever, and they cover the poet’s varied experience and encounters with a diversity of people. 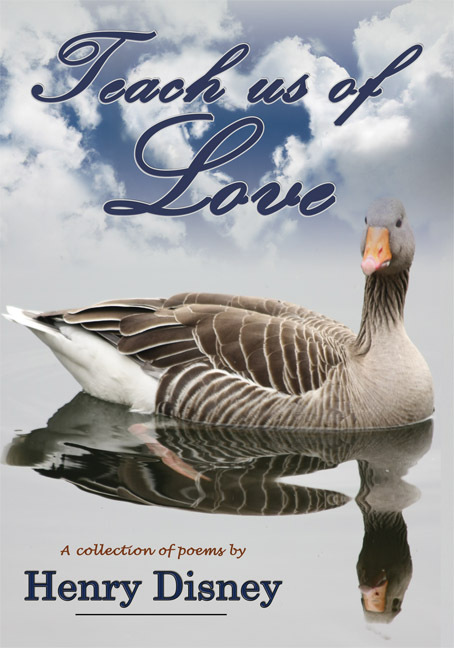 These poems shine a critical, but compassionate, light on contemporary people and events. But soon escaped to live again. Steve Morris' newly released novel, Playing Havoc has been reviewed in the Shropshire Star Newspaper. "Sometimes what you mustn't do is just as just as important as what you must do." Dedicated to book trailers(TM), audio books and book adaptations. Q1. Can you tell us a little about yourself and your book 'Pearls of Wisdom'? I have been writing since I was a child. I love words and the concept of using them to paint a picture that people can relate to. As a medical doctor in a busy hospital setting I couldn't seem to find the time to write or indeed do other things I had an interest in doing, so eight years ago I retrained as a General Practitioner and my work/life balance is so much better. I wrote Pearls of Wisdom because I believe there is so much we can learn from looking at other people's lives. My heroes are ordinary people who do extraordinary things because they believed in Someone and Something greater than themselves. The Bible is full of these ordinary people. 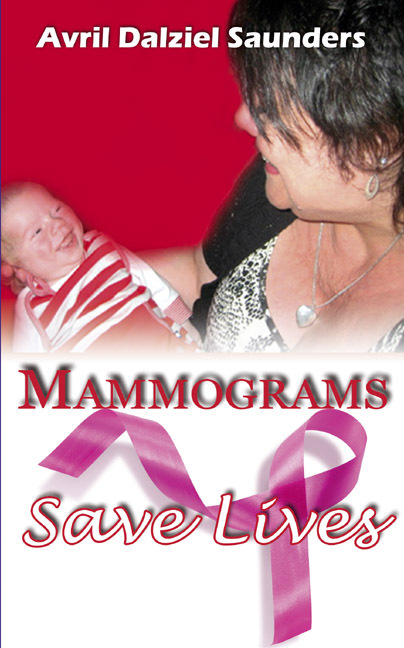 Pearls of Wisdom aims to capture just a few of these women. Q2. What was your motivation for writing this book? I wanted to encourage women to believe that their lives had value and that they could make a difference, regardless of their background, education, connections or level of wealth. My parents were well known authors. When we were young, we were encouraged to read widely. I developed a love for reading and I suppose writing was a natural follow on to that for me. A notably intriguing murder mystery–will you identify the murderer before the detectives do? Another crime novel from the inimitable Julius Falconer, written in the finest British traditions: suave, sophisticated and sharp.